Internet of Things (IoT) edge devices remotely monitor and control the status of real-world processes. 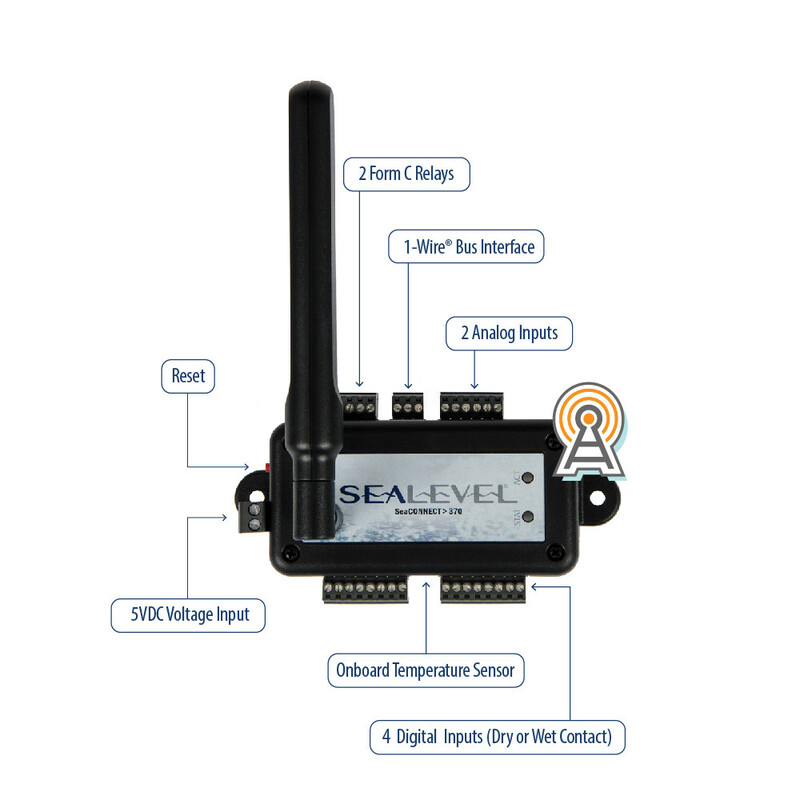 Sealevel’s SeaConnect 370 Restaurant Kit is configured specifically for remote cold-chain management, such as monitoring the temperatures of coolers, freezers, sandwich counters, salad prep stations and more. The restaurant version of the 370 comes equipped for simultaneous cold-chain monitoring of multiple machines or spaces using wired temperature sensors. Precision monitoring features help technicians, restaurant managers and kitchen staff make informed, critical decisions about cold-chain management. With the continuous monitoring and alert systems, food waste risk can be reduced or eliminated, thus lowering food costs. The 370 Restaurant Kit suits small kitchens or larger operations. While the base model comes with two temperature sensors, a fully configured 370 can monitor up to 10 cold-chain zones. 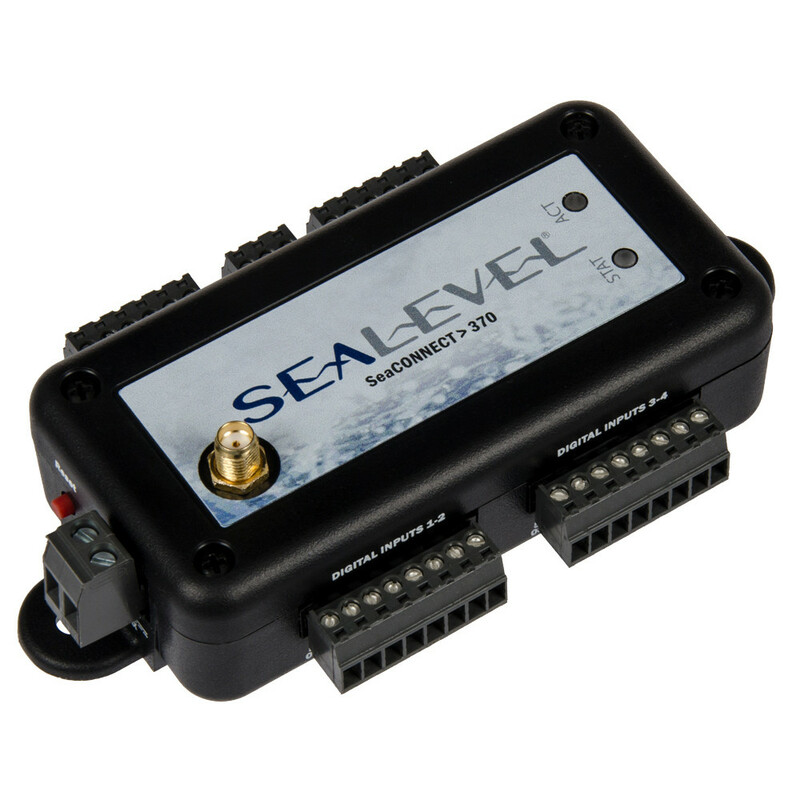 The SeaConnect 370 edge module uses an intuitive, responsive, web-based interface to set-up acceptable thresholds and alerts activated by conditions outside those limits. When sensors detect these conditions, such as unacceptable temperatures, the 370 can be configured to communicate with a cloud platform to send alerts via text message or email. These alerts are driven by our powerful, integrated event engine, which can also trigger actions. Actions may be as simple as switching on lights, turning on back-up power or setting off an alarm. Consider the following situation: a component fails and a cooler malfunctions. The food products inside may exceed safe temperatures and, per new FSMA guidelines, require disposal. 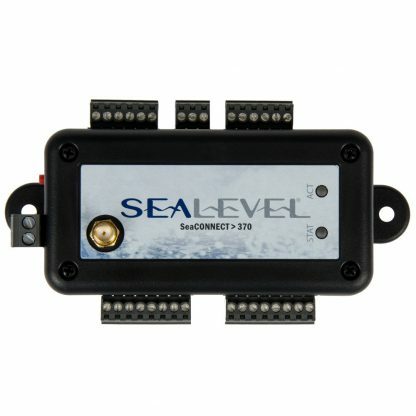 With Sealevel’s restaurant kit, the 370 would immediately detect the rising temperature. A text message and/or email alert would go out and repair procedures could be initiated before incurring expensive food losses. 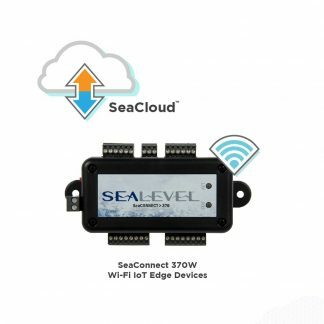 The SeaConnect 370 is designed to work with the Sealevel SeaCloud IoT platform. The SeaCloud service is a secure, robust, scalable, IoT cloud platform. It can track, monitor, analyze and control data. This Software-as-a-Service (SaaS) cloud application works out-of-the-box and includes many features that allow immediate use without additional programming. For larger restaurants or chains interested in a private-labeled service, Sealevel engineers can modify SeaCloud to meet specific requirements. The 370 also supports the free Dweet.io service, or the 370 can be customized for other cloud platforms. 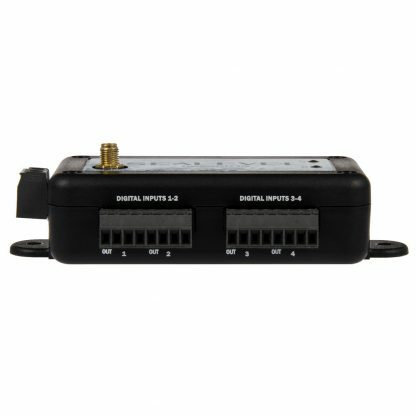 This 370 Restaurant Kit comes standard with a SeaConnect 370C module, which sends and receives data over a cellular connection to and from a cloud platform, and does not require additional network configuration. 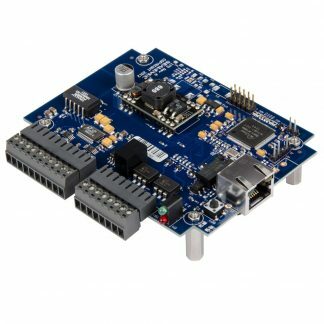 This module is ideal for environments where Wi-Fi signals may be unavailable or interrupted by building design or other devices. Due to the nature of cellular networks, data transmission over cellular is more secure and less likely to experience interruptions. 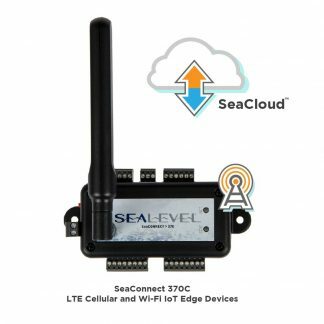 To experience the powerful features of the SeaCloud IoT platform on your 370 device, you will need to sign up for a SeaCloud cellular subscription (Item# SC00C). You will receive a free trial month of service, which includes 25MB of cellular data. If you decide to maintain your service, your subscription will automatically renew at a flat rate of only $30/month. Subscription plans are month-to-month with no long-term contracts required. Although it is likely that 25MB will be sufficient for most applications, you can purchase additional cellular data in blocks of 25MB for $10/month. Designed for simplicity, the kit comes ready for “plug and play” use. If you can plug a power cord into a wall outlet, you can set up your 370 Restaurant Kit. 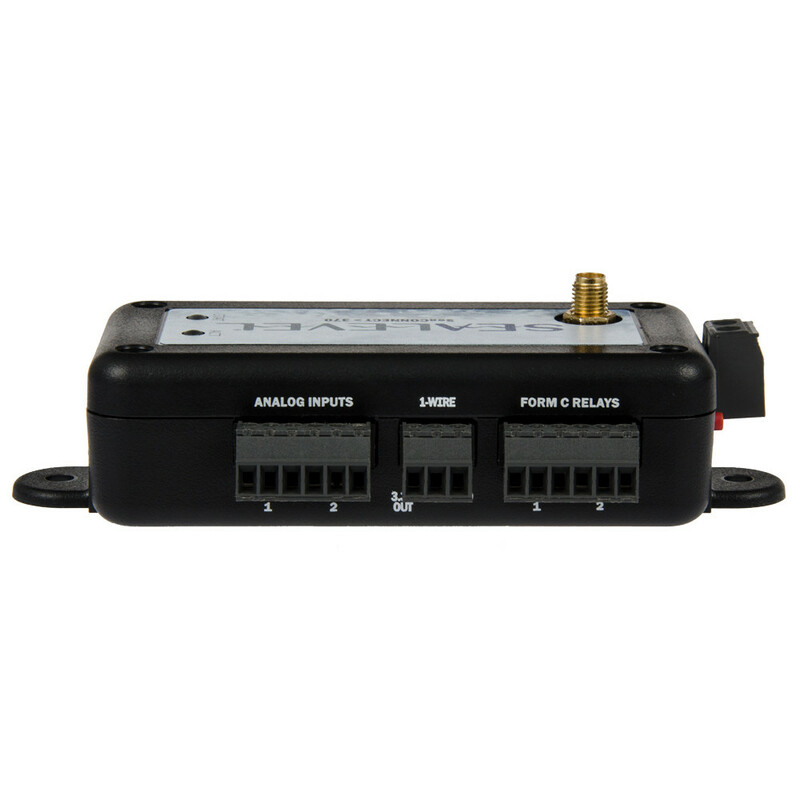 The kit includes a convenient 5 VDC wall mount power supply. The temperature sensors connect to the module via intuitive latching “RJ11” cables. You may recognize RJ11 cables from old landline wall plugs or current internet network plugs. The kit also includes a cable splitter for flexibility and coupler for extended length. We’ve made it easy to add additional temperature sensors – simply order the KT136 and you get two additional temperature sensors, a 25’ extension cable, a 1×3 splitter and 1×1 coupler. You can also order accessories individually and build out your perfect cold-chain monitoring solution. The SeaConnect 370 module is housed in a small, rugged plastic enclosure that is ideal for mounting to a variety of surfaces using customer-supplied mounting screws, zip ties or double-sided adhesive strips. Standard operating temperature range is -20C to +70C (-4F to +160F). LEDS on the face of the module show device status and data activity. The 370 features a certified Wi-Fi (802.11bgn) interface and WPA2 encryption for a secure connection to your wireless network. 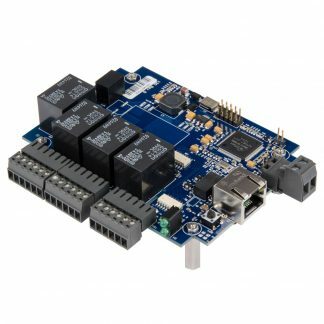 The module also includes a variety of I/O interfaces, including relay outputs, as well as digital and analog inputs. 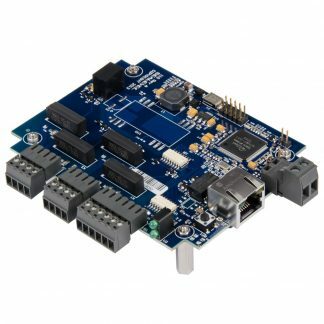 For more information on these other available interfaces, check out this kit’s specifications page or call us to discuss your IoT application. 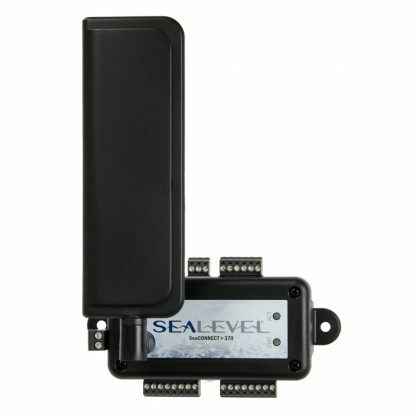 • SeaConnect 370C Module – the brains of the kit with a cellular interface to SeaCloud, or other cloud application. • TR154 – a 5V/2.5A wall mount power supply for powering the 370. • CA669 – a short 6″ (15 cm) cable that connects to the 370 and includes a latching modular connector, similar to network cables and old landline telephone cords. • CA651 (2) – digital temperature sensors with waterproof, stainless steel probes and 9.8′ (3 meter) cable. They’re digital so they don’t require calibration. Additional temperature sensors are available. • CA685 – a 25’ (7.6 meter) extension cable with latching, modular connectors on each end. • 105351 – 1×3 splitter that allows you to connect up to 3 cables into 1 connection. • 105352 – 1×1 coupler that allows you to connect two cables together, thus extending the length. • HW1109 – a Sealevel 4-n-1 screwdriver to make it even easier to connect everything. 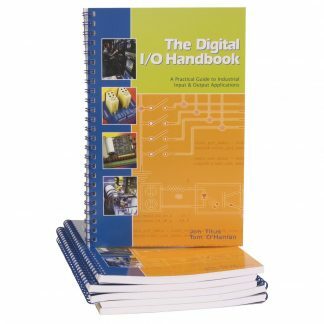 Do you need an application-specific Industrial IoT device and cloud solution? Sealevel can provide a number of services from design, application-specific cloud instances, cellular data plans and even billing services for a complete solution. Call us to see how Sealevel can help you realize your IIoT vision.